Greetings Arkies! Come aboard to Delegate Rising_Sun, a unique, community-driven, pirate themed Ark Delegate. Captain Moody’s Rising_Sun is sailing the sea again, so come and join us on our Ark adventure. Before reading further, I want to announce that Rising_Sun will be giving 50 Ark to four lucky voters every two months! As of the editing of this proposal, that is one hundred US dollars. No small sum, but if we we’re doing this at all-time-high, it would have been over $1,000! 200 Ark will be given away to a random voter every month. You don’t have to do anything but vote for Rising_Sun to be entered into this - it is literally free Ark! 900 Ark will be given as bounties for Ark promotional contests! This content can be anything to get the word out about Ark. Suggested ideas are: videos, Medium articles, Steemit articles, Ark related artwork (includes posts, gifs, wallet backgrounds, or anything creative done for Ark). The winners will be chosen by Rising_Sun, and the weight of the winnings will be distributed according to categories such as effort put it, originality, and how much of an impact it has. 60 Ark will be used to give out Discord Nitro to members at random. Ark has an official Discord also, did you know? I will also be working towards producing Ark-related content myself. Stay tuned! Rising_Sun is all about you, the community member. I am open to all suggestions about everything and anything, and am always around to talk. I want the average Arkie to be as involved with the greater Ark Community as possible. Some of these bounties and rewards will be adjusted as Ark’s price fluctuates, as unfortunately Ark has not replaced fiat as a global currency yet. Rising_Sun is an Ark Delegate publicly maintained by myself, pep1 (Discord/Slack: pep1, Reddit: rising_sun_ark). Discord and Slack are the best ways to contact me. The name Rising_Sun was chosen after the famous pirate ship captained by William Moody. The theme was chosen based on the concept of sharing our plunder with you all. It is a one for all, all for one idea. We want to sail and make the world aware of what the Ark Ecosystem is and what we have to offer! 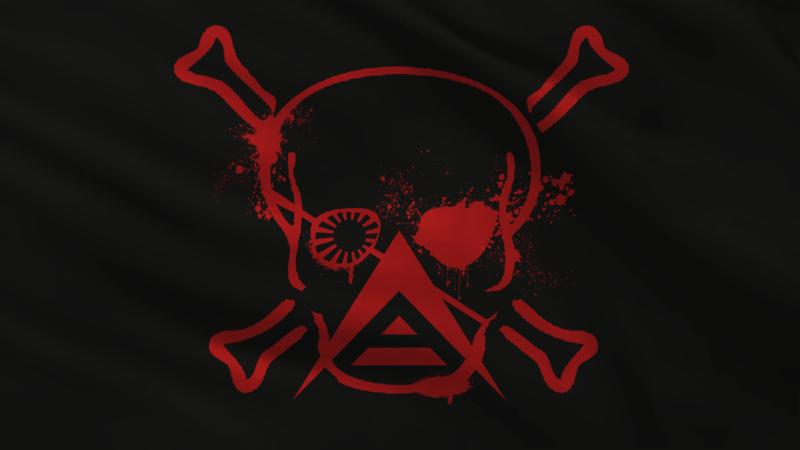 Rising_Sun is made up of benevolent members of the community who want to share our plunder (Ark forging rewards) with the community in as many ways as possible. Rising_Sun has a captain, myself, and a crew, all of you, the voters! This will be done via a random number generator and a livestream on Twitch or Youtube! Provably fair! What Rising_Sun would like to see is a diverse group of entries into the contest each month. Having your piece of content stand out is the best way to win. If many articles are written that month, producing a video will make your submission stand out that month. All submissions should be sent to myself via Discord or Slack or emailed to Risingsunark@gmail.com. To be selected for a random giveaway, you must be a voter with at least 75 Ark (if your total ark balance is less than 75 ark contact me) staked with us. This is the best way to prevent people from splitting their wallets and having thousands of chances, versus the average Ark voter with only 1 chance. All other contests can be entered by any member of the Ark Ecosystem. All bounties and giveaways will be done at the end of each month. As the ark price fluctuates, we may reward more contents with our prize pool. Rising_Sun delegate will be giving out 100 Ark, split as 2 giveaways (50 Ark each), as well as offering 300 Ark as bounties at the end of the month as a promotion. The giveaway is only for voters, but the 300 Ark is eligible for anyone if they participate in the bounty program. All submissions should be emailed to RisingSunArk@gmail.com. Best of luck. Rising_Sun has just entered forging! What this means for you, the voter, or you the member of the ecosystem. First, the 100 Ark giveaway will still be split into two 50 Ark giveaways for the end of September. Second, the bounties will increase for the end of September to 400 Ark! Finally merch for giveaways has been ordered, and I hope you all are looking forward to receiving some. The Rising_Sun website will also be up and running soon. Thank you to all of our voters, and for any potential voters feel free to come aboard! I enjoyed our twitch chat the other day. Keep it up!!! Thank You!!! Looks like your connection to Rising_Sun Delegate Proposal | 400 Ark in Bounties a Month and 100 Ark Monthly Giveway was lost, please wait while we try to reconnect.